Track-focussed supercars aren’t usually the prettiest of the bunch. Yes, we’re looking at you, McLaren Senna. However, Maranello has done something marvellous with the new Ferrari 488 Pista; it actually looks better than the standard GTB. Proving that enhanced aerodynamic performance doesn’t have to be ugly, the 488 Pista gets a revised front end complete with an F1-inspired ‘S-Duct’, which has helped to visually shorten the car’s nose. Unlike the new Porsche 911 GT3 RS (which looks decidedly ‘Halfords’ in comparison), the Ferrari 488 Pista eschews a high, race car-like rear wing. 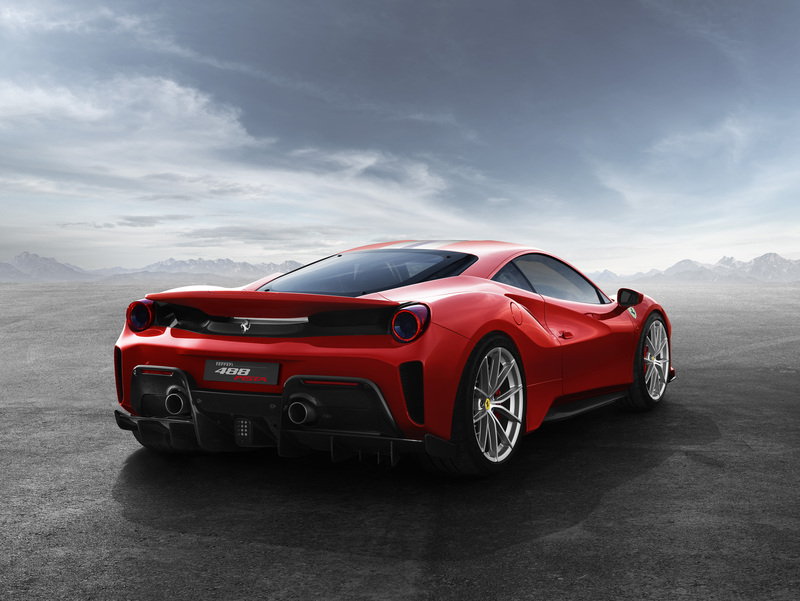 Instead, the engineering bods back at the Prancing Horse’s factory have optimised the underbody vortex generators and diffuser to extract greater levels of downforce, while the blown rear spoiler is also slightly longer and taller, helping the 488 Pista generate 20 per cent more downforce than the standard car. 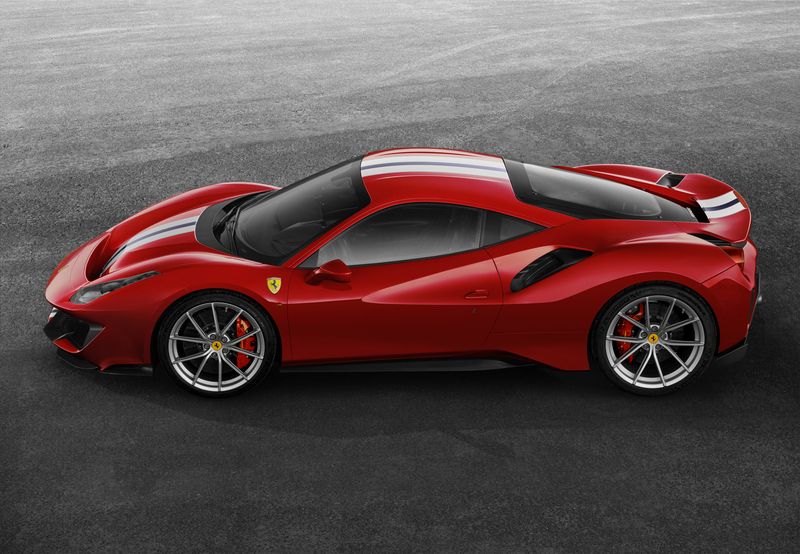 Of course, Enzo Ferrari famously once remarked that, “Aerodynamics are for people who can’t build engines,” so the Ferrari 488 Pista hasn’t gone untouched under the signature glass rear cowling. Taking the turbochargers from the 488 Challenge race car, the Pista now pushes out 720hp. 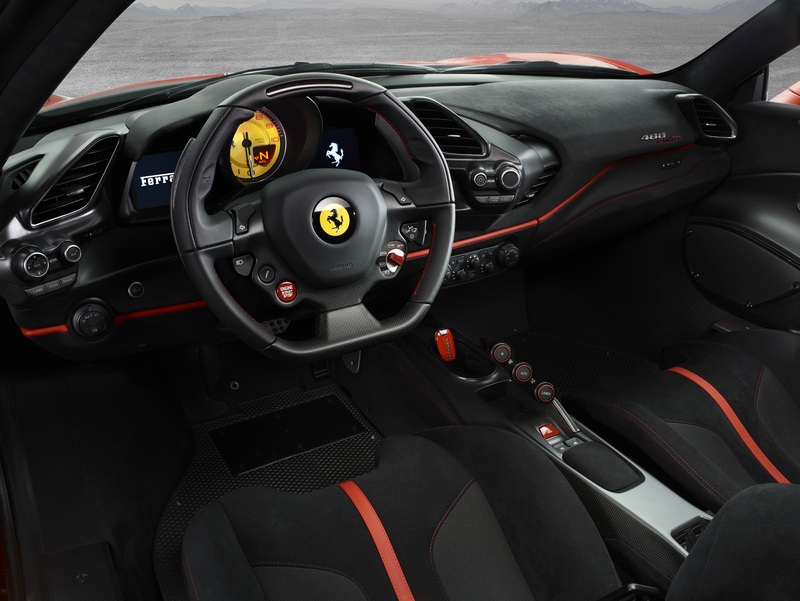 Maranello hasn’t scrimped on the exotic materials either with carbon intake plenums joined by titanium con-rods, while a lightweight crankshaft and flywheel further help to electrify the engine’s response. For track addicts, weight is the most obvious enemy so Ferrari has gone to extreme lengths to remove 90kg of mass from the Pista (including the option of carbon fibre 20-inch wheels) while the overall vehicle dynamics have been enhanced by the latest version of Ferrari’s Side-Slip Angle Control (SSC) system.